The right to vote comes under the Citizenship Act which grants them protection under the 15th Amendment. As per the Election commission of India, citizens are eligible to become voters under specific conditions. In a democracy, all citizens regardless of their race, color, or previous condition of subjugation have the right to vote under the Citizenship Act which grants them protection under the 15th Amendment. Every citizen who is 18 years old on the qualifying date (January 1 of the year in case) unless disqualified, is eligible to be enrolled. Enrollment only at ordinary place of residence. Enrollment only at one place. Overseas Indian deemed to be ordinarily resident at the address given in passport. Service voters deemed to be ordinarily resident at their home address. Who is not eligible to vote? Those citizens who have been declared by the law that they are unstable to vote or barred due to corrupt practices or any illegal act relating to elections are not entitled to be a voter. A person who is not a citizen of India cannot be registered in the electoral rolls. Once a citizen is eligible to vote and has enrolled as a voter, a voter slip from the election commission will be issued which confirms the citizen's name on the voter list. This slip, along with a photo ID proof recognized by the Election Commission, can act as a voter card. If the resident fails to get the voter slip, they can check online or call the helpline to find out. The ECI has made voter identification mandatory at the time of polls. In order to cast your vote, you have to show your Voter ID Card issued by the ECI or any other proof allowed by the ECI. 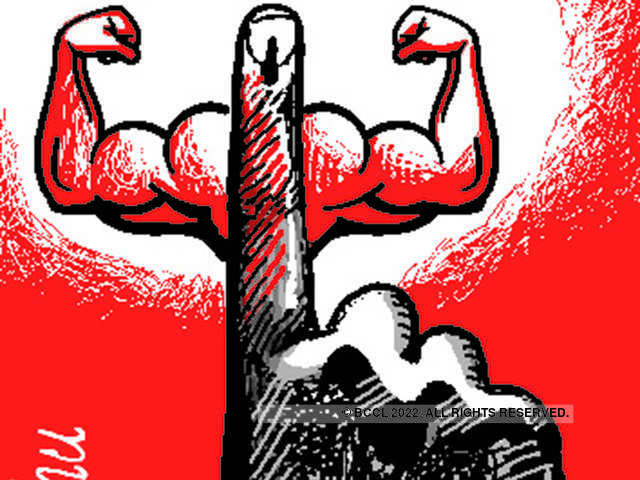 Business News › News › Elections › Lok Sabha › Who can vote in India?